← Finally finished a baby make! The blanket is still continuing, and the baby is still in, so there’s going to be time to finish that before the new year I think. 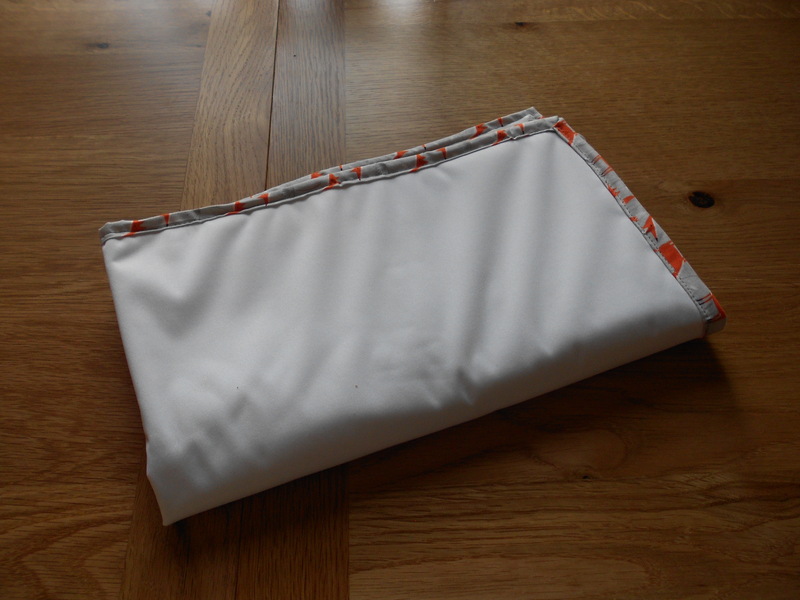 I’ve also been back at the sewing machine to make some things I needed for the baby. I am planning to use cloth nappies as I was so horrified to find out how long disposables take to biodegrade, so when we are out and about I will need somewhere to stash the dirty ones until I can chuck them in the wash. I bought some waterproofed fabric, known as PUL, from Plush Addict which is also anti fungal and anti bacterial. 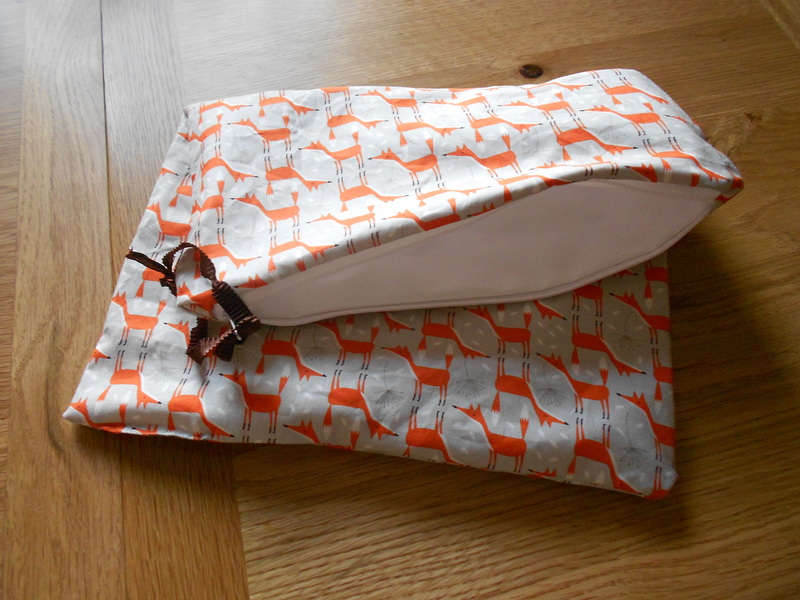 I used this as the inner for a wet bag, and used the cool fox fabric I got from Fabric Rehab the other week as the outer (I can’t find the fabric on their website, they did say they thought it would sell out really fast and in fact it seems to be unavailable in the UK now, but it’s from this collection) – just because it’s going to hold dirty nappies doesn’t mean it can’t look cool. I didn’t really use a pattern, I’ve made zipped pouches before so just did the same things this time, but larger. If anyone wants instructions these and these could be useful. One of the benefits of this PUL fabric is that is has a fabric feel on one side, not plasticky, and is also washable to 60C. 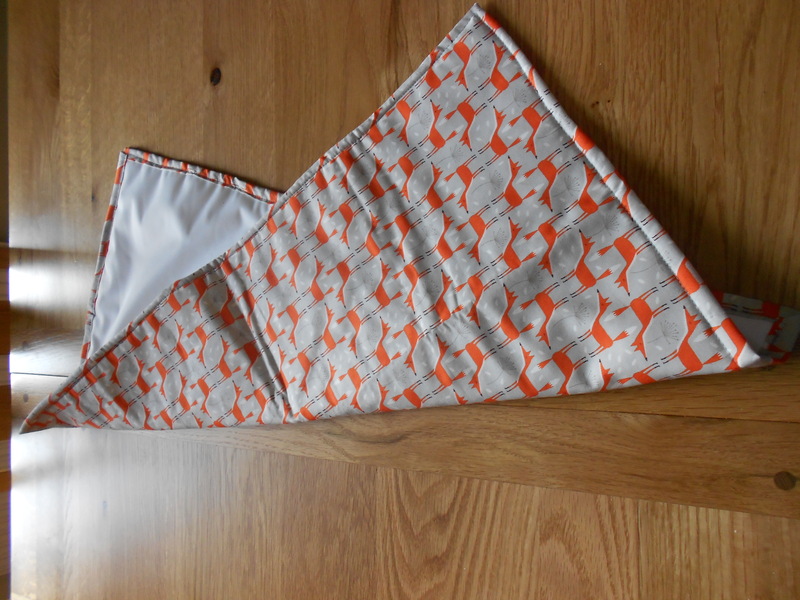 I needed a travel changing mat for out and about and decided to use the polyester knit side so it will be less cold for the baby to lie on. This time I ironed some vilene fleece onto the fox fabric first so that there was a bit of padding too. Again I didn’t really have a pattern, I took some inspiration from here and here but pretty much made it up as I went along. Still rubbish at mitred corners, but I doubt the baby will notice! I’m hoping that tomorrow we will be making the ultimate Christmas make in the kitchen – a Gingerbread house! So I’ll try and put some pictures up, this will be a joint effort with Mr Han who has made a very impressive one before.